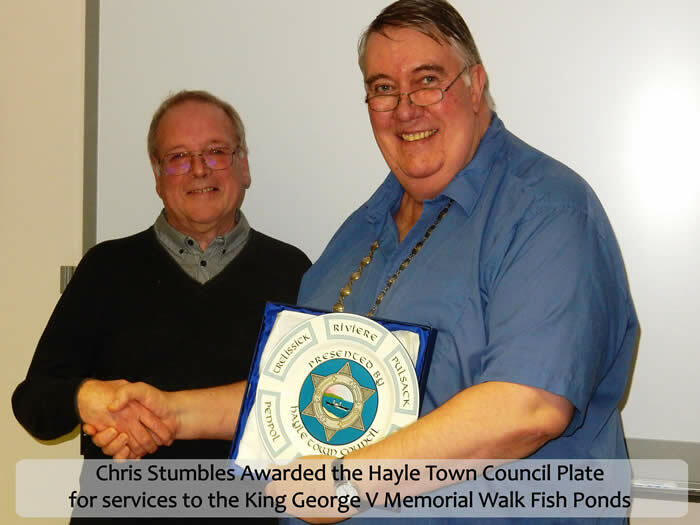 The Mayor presented Chris Stumbles with the Town Plate during the Council meeting of 18th February 2016. Councillors decided that Chris was worthy of this rare honour for the hours of voluntary service he gives to the town each week. He can be found along the Walk most days, working alongside Tony (current citizen of the year) and Olivia (gardener) helping to maintain the fishponds and surrounds. Thank you Chris, we all appreciate your efforts – keep up the good work!